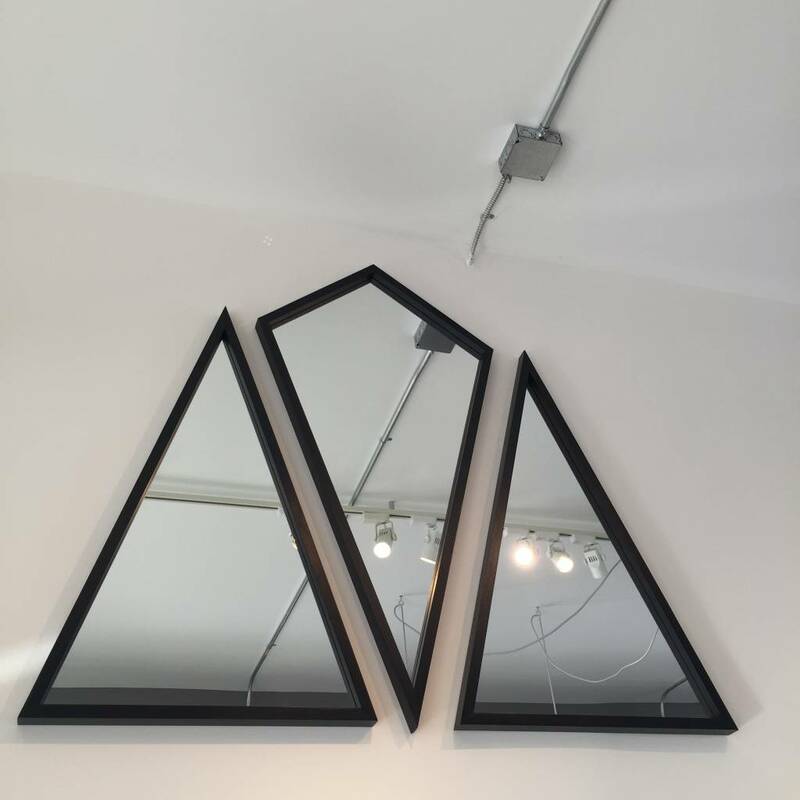 The Diamond Mirror from Alex Drew & No One is a standout in their collection (and pairs perfectly with their Isosceles Mirrors, as pictured). ALEX DREW & NO ONE is a Brooklyn-born/Detroit-based design studio that develops modern furniture and objects. Through careful consideration their work focuses on unique materials, function, along with a combined knowledge of traditional woodworking and technology. In addition to their current product line, AD&NO also offers design services and custom furniture projects based upon their design aesthetics. Available in a variety of color/size options, the Diamond Mirror can be customized to your needs, please email for inquires.